There are a number of boutique manufacturers (such as Jensen and the legendary Black Gate) that promise superior performance for audio applications. Some use exotic materials such as beeswax for the dialectric or silver foil for the plates, some claim unique and proprietary manufacturing processes, or years of experience serving the audiophile community. 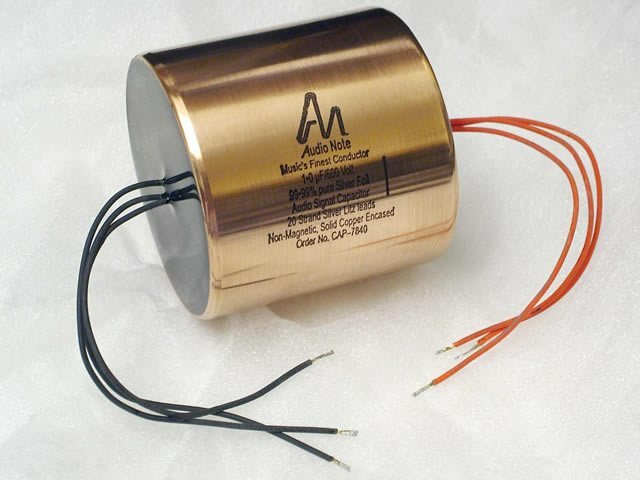 All of these manufacturers have two things in common: (1) A lack of detailed specification of electronic performance and (2) prices exceeding 100 times the cost of a high quality, low impedance signal capacitor from Nichicon or Panasonic. The only specification listed is tolerance, which is not by far the most important quality of an audio capacitor. If you root around their site for awhile (you guys charge $25 for a capacitor, and this is what you can afford for website design? ), you’ll find a lot of terms like “irrationally scaled dialectric layers” and “retained energy scaling”, but nothing that would help you make an apples-to-apples comparison with any other manufacturer. Aside from the Life Lesson that anyone who’s trying to sell you Golden Ratios is probably a charlatan, if you have a better quality product you should be able to prove it in some empirically demonstrable way.